How do I order something from the webshop? How do I order a Jewel Concepts print kit? How do I send the print? What should I do if I want something engraved? To finally order something from our webshop you need to register as a customer. In advance or once you have added a jewel to the cart. Selecting a jewel speaks fot itself. Once you have added a jewel to the cart you can view and make changes to your order, you can delete articles or change the number of items ordered. If you are in possession of a gift voucher then you can use the unique gift voucher code (this number is stated on the voucher) by inputting this code in the 'gift voucher field' and click on the 'save' button. Then select a shipping method and a payment mode. Do you want something engraved, then fill in the desired text (10 characters) in the text box. Finally you have to click on 'Now checkout'. The print is an essential part of our jewelry. To enable you to make a good print (fingerprint, footprint or pawprint) we can supply you with a special print kit. You can order a print kit together with your jewellery. Of course, you can also order the Jewel Concepts print kit separately and at a later stage choose your jewellery. A separate print kit costs £ 4,33. In any subsequent order from Jewel Concepts you will receive a discount of £ 4,33. A print kit consists of a special ink strip, various stickers to print on and storage wallets to keep the best prints in. You will receive a print kit within 1 week. With this kit you to can make a few prints and send the best print to Jewel Concepts. To help you make a good print, please look at our print instructions "How do I make a fingerprint?". To ensure you make a good print, we recommend using the Jewel Concepts print kit, but it is also possible to make a print using an inkpad. Please send your print to: Jewel Concepts, PO Box 989, 4600 AZ Bergen op Zoom, The Netherlands. 1. Ensure that the finger is dry. 2. Open the ink tissue and lay it flat, for example, on the edge of a table. 3. Place the stickers als on a flat surface. 4. Keep the finger flat and push it gently straight down on the black ink tissue. CAUTION, do not roll or slide! 5. Lift the finger and then press it gently straight down on the label. CAUTION, do not roll or slide! 6. The special ink can easily be removed using water. 7. To make a new print start again from step 4. 8. Make at least two good prints of the same finger. 9. Attach the label with the correct print on the card and fill in your information. Put the card in the plastic storage wallet. Please send your print to: Jewel Concepts, PO Box 989, 4600 AZ Bergen op Zoom, The Netherlands. Along with your order, you can upload the scanned print. Are you ordering more jewels, make sure that all prints are scanned on one page with an indication which print is meant for which jewel. 1. Scan the print you made at 600dpi. 2. 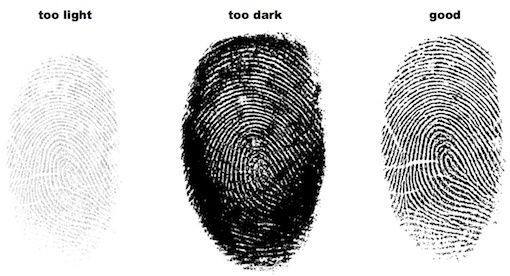 Adjust the dimensions of the scan to maximum 3 x 3 cm (708x708 pixels) for the fingerprint. Adjust the dimensions of the scan to maximum 14 x 18 cm (3306 x 4250 pixels) for the footprint. 3. Adjust the fileformat to jpg. 4. Make sure that the size of the jpg-file does not exceed 2 MB. Click the upload-button (the upload-button is only visible when you are logged in) below and the uploadform is opened. With the browse-button you can select the produced jpg-file on your computer. Then click on "Upload" and your digital print is stored on the Jewel Concepts website. The jpg-file you provided is now viewable on this page. You can view your print by clicking on the filename, if you are not satisfied with the result you can upload a new scan by clicking the "Edit"-icon (pencil) to select your new file. If you are satisfied with the result you have to confirm the upload. 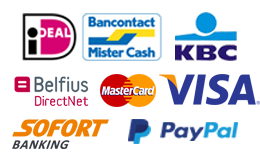 At Jewel Concepts a few payment options are possible. More information, see 'Payment options'. If you are in possession of a gift voucher then you can use the unique gift voucher code (this number is stated on the voucher) by inputting this code in the 'gift voucher field' and click on the 'save' button. The coupon discount will be automatically deducted from your total. Only one promotional code may be used per order. Note that the code on the voucher can only be used once. First of all: engraving is free. Do you want something engraved (name and/or date), then fill in the desired text (10 characters) in the text box(es).